Banedanmark, the Danish railway infrastructure management authority, has started work on the country’s first high-speed rail line which is due for completion in 2018. The line will connect the capital Copenhagen with Ringsted, a city about 60 kilometres away. One of the most impressive parts of the project is a new footbridge at Køge Nord Station which will carry over 8,000 pedestrians each day. Already named as one of the world’s most spectacular bridges by CNN, the Køge Nord footbridge will be built with heavy plate provided by ArcelorMittal Galati in Romania. The bridge is being constructed by Bladt Industries, a long-term ArcelorMittal customer in Denmark. 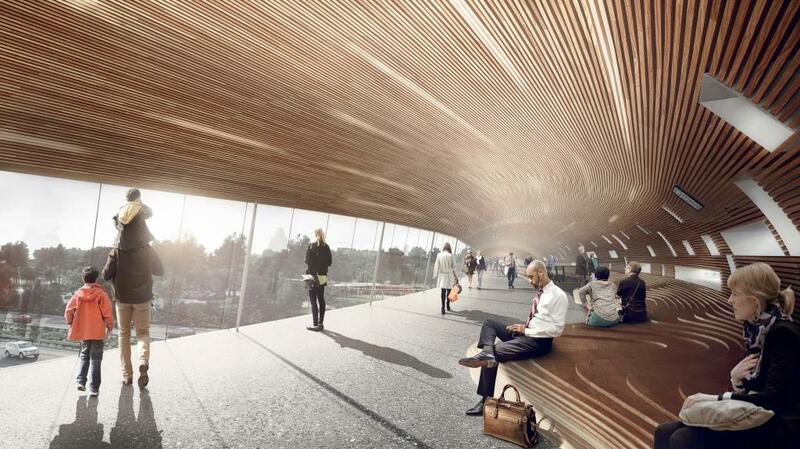 When complete, it will be 225 metres in length and 9.5 metres wide and link all the platforms at Køge Nord Station. The landmark construction features glass walls on its northern side to provide 180° panoramic views over the landscape. Designed by a consortium including COBE architects and DISSING+WEITLING architecture, the bridge has already been nominated for several European design awards. The steel plate provided by ArcelorMittal Europe – Flat Products for the bridge structure is grade S355J2+N in thicknesses ranging from 10 to 14 millimetres. 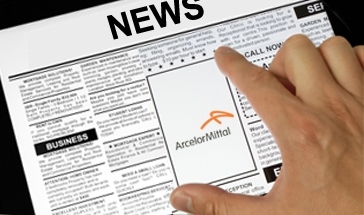 ArcelorMittal Galati (Romania) was selected to supply the heavy plate due to the quality of its steel and logistics. The plates were delivered to Bladt Industries by ArcelorMittal’s distribution partner Sanistaal. Sections of the bridge were pre-fabricated by Bladt Industries and shipped to Køge’s harbour. They were transported by truck for the last eight kilometres from the harbour to the construction site. The transport was a part of the Bladt Industries contract which also includes the steelwork, earthworks, foundations, laying of the bridge deck, and completion of the interior design. Moving the sections those last few kilometres required meticulous planning and is visible proof of Bladt’s strength in delivering bridges. With all the sections in place, construction of the bridge started in September 2017. 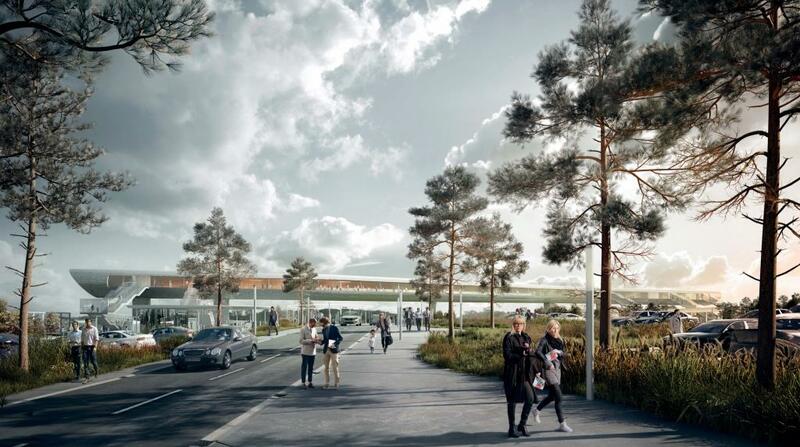 Køge Nord station is expected to be fully operational by the end of 2018. ArcelorMittal Europe – Long Products has been a major supplier of steel components for the Copenhagen to Ringsted high-speed rail line. Long Products have supplied over 325 kilometres of high-quality rail track which will enable trains to travel at up to 250 km/hour. Long Products have also supplied sheet piles in lengths from 6 to 15 metres for the construction of tunnel and retaining walls. All seal-welding was carried out to EXC3 (Execution Class 3) standard. This high level was required to ensure the sheet piles remain watertight for their very long service life – up to 120 years. Banedanmark’s new, 60-kilometre long, dual-track railway line between Copenhagen and Ringsted is Denmark’s first high-speed line. Scheduled to open in December 2018, the new line will cost over 10-billion Danish kroner to complete. The line will be Denmark’s first high-speed railway and will handle passenger trains which can travel at up to 250 km/hour. 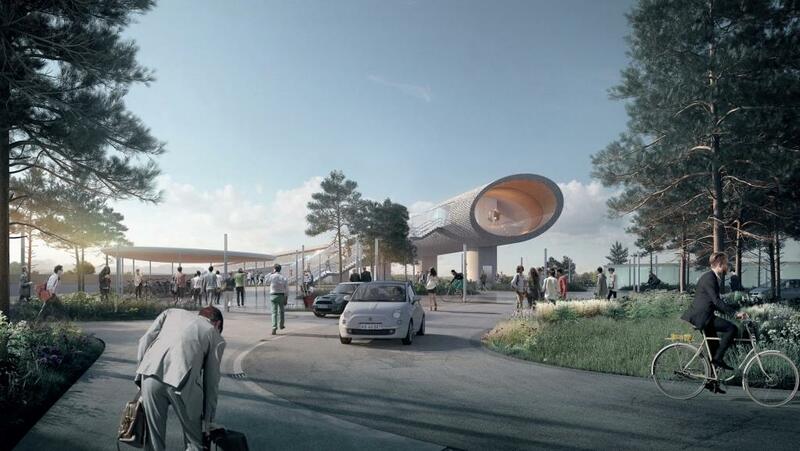 The new station at Køge Nord is strategically located near a major highway and will become a regional transport hub when it is completed. As well as the high-speed line, local trains will also utilise the station. A park and ride facility will enable commuters to switch transport modes with a minimum of fuss. Bladt Industries is an international steel contractor which specialises in the construction of large-scale and highly complex steel structures. As well as infrastructure projects such as the Køge Nord footbridge, Bladt is also involved in the construction of wind and renewable energy facilities and oil and gas installations around the world.